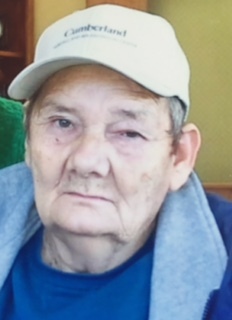 Doyle Brown, 79, of Burnside, passed away peacefully Monday, January 21, 2019. He is lovingly remembered by his Burnside and Vanceburg families. Doyle was born at Sloans Valley on May 30, 1939. He was a dedicated employee to Kingsford Charcoal for 35 years. Survivors include his brother, Cressel Brown; a niece, Laura Lemmon; a nephew, Mark Lemmon; and a great-nephew, Cory Lemmon. Doyle is also survived by many of his wife Jessie’s family who delighted in his stories, kindness, and humor. They include her children, Judy (Thomas) Killen, Cora Bayless, and Ray Nolen; and her grandchildren, whom he treated as his very own, Thomas “Peanut” Killen, Johnny (Brittany) Killen, Travis Killen, Joanne (Chad) Kidwell, Amanda Bayless and Jessica Bayless. Doyle was preceded in death by his wife of 16 years, Jessie Brown; his parents, James O. Brown and Sallie McKee Brown; two sisters, Margie Dobbs and Della Lemmon; and two brothers, Orville Brown and Kenneth Brown. Arrangements were under the care of Southern Oaks Funeral Home at Somerset.